It’s common place to see would-be sufferers donning a mask during “flu” season. As the super cautious occasionally peer up from their masks, you get the sense that they would rather not wear a mask at all. But, just ask anyone and they will tell you that it’s no fun being sick, especially when the flu is concerned. Moreover, throngs of unsuspecting people will be blind-sided by the flu at this time. The flu or influenza is a well-researched topic. According to the Centers for Disease Control and Prevention (CDC), it is a contagious viral infection that affects the respiratory system. This means that your nose, throat and lungs all can ail you. Plus, it can lead to hospitalization and death in more serious cases. Flu vaccines cause antibodies to develop in the body. Those who have the flu definitely will know it, because it can be marked by some very unique symptoms. What are symptoms of flu? Symptoms can include chills, coughing, fatigue, sore throat, fever, runny or stuffy nose, body aches and headache. Some may experience vomiting and diarrhea, as well. To sum it up, every flu season is different and flu infection can have a different effect on everyone who has it. People who are ages 65 and older are at particular risk because nearly 90 percent of flu-related deaths occur in people in this age range. How is this possible? Those in this age bracket may lose some ability to fight off flu infection, making it especially important for them to get a flu shot; which we will discuss later. Others who are at great risk for getting the flu is young children, women who are pregnant and those with chronic health conditions like diabetes, asthma or lung disease and heart disease. There is no way to sugarcoat the effects of the flu. While nearly nobody enjoys getting shots, the first line of defense against getting the flu is to get a flu vaccination every year. If you get the flu shot, you are 60 percent less likely to require treatment for the flu by a healthcare provider, than if you had not taken it at all. The vaccine will protect you for one entire flu season. How do flu shots work? 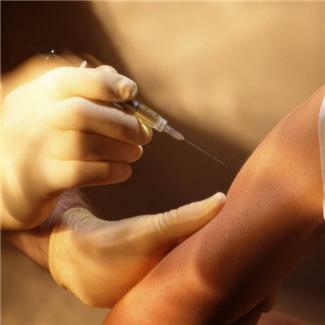 Flu vaccines (flu shot and nasal spray) cause specific antibodies to develop in the body. These antibodies safeguard against infection with the viruses that are present in the vaccine. The flu vaccination is important for people at high risk to decrease their likelihood of getting sick and possibly having serious illnesses. Be forewarned that the flu vaccine may be harder to find now than it was earlier in the season because so many people request it. If this is the case you may need to contact more than one provider, such as your doctor, pharmacy or health department to find available vaccines. While it may seem as though administrators who give flu shots have a never-ending supply that is stored until the next season, this is not the case. Every year one flu virus of each kind is used to produce the seasonal flu vaccine; it’s ‘2014,’ so the virus corresponds with this year. Other information you should know about the flu shot, is the 2012-2013 flu vaccine protected against three strains of flu viruses that experts predicted were the most common that season. Of importance, the 2012-2013 flu vaccine did not protect against the H3N2v flu. This vaccine was linked to exposure to swine, otherwise known as swine flu and resulted in more than 300 flu cases during 2011 and 2012. When is the best time to take the flu shot? You can get the vaccine as soon as it becomes available in your area. Flu season usually peaks in January or February and can occur all the way up until May. Though early immunization has proven most effective, it’s not too late to take the vaccine in December, January or later than that. Is there side effects to taking the flu shot? Yes, there is. Some mild side effects usually start after you get the vaccine and last between one to two days. This can include soreness, redness and swelling at the injection site for the vaccine. For the nasal spray, side effects can include wheezing, runny nose and fever. Serious side effects usually begin within a few minutes to a few hours after receiving the shot. Possible serious side effects consist of difficulty breathing, hives and behavior changes. 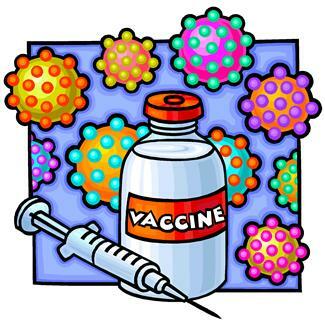 Every year one flu virus of each kind is used to produce the seasonal flu vaccine. There are preventative measures you can take in order to combat the flu. You’ve heard this a million times over, but by washing your hands often with soap and water, you can stop the spread of germs. If soap and water are not available at the time of need, you can use an alcohol-based hand rub or sanitizer that contains at least 60 percent alcohol to clean hands. It is especially helpful to notice your surroundings during flu season. Though this may be easier said than done, try to avoid close contact with those who you know are sick. If you become ill limit your contact with others, too. It’s best to stay home or indoors at least 24 hours after fever is gone. One exception to this rule is to seek medical care or for other necessities. And, you can be sure not to spread flu by covering your nose and mouth with a tissue if you sneeze or cough. By doing so you, are blocking the spread of droplets from your mouth or nose that could quite possibly contain germs. Nobody looks forward to flu season. There are just too many germs flying around during this time. Knowing that you have various options can ease your mind and better able you to cope with it. This entry was posted in Health, Lifestyle, Poll, Research, Safety, Self-Help, Uncategorized and tagged 2012-2013 Flu Season, CDC, Centers for Disease Control and Prevention, Christine Hay, Flu, Flu Season, Flu Shot, H3N2v, Influenza, Mack Truck, Shot, Strains of flu, University of Rochester Medical Center, Vaccination, YouTube. Bookmark the permalink. Amazing how these viruses evolve as we do. It will be interesting to see how as we become more of a global society gene accommodate changes to the vaccinations. NM, you bring an interesting perspective to the situation. Thanks for commenting.